Temperatures will begin to drop in the fall and winter months, which means you will want to amp up your heating system. As the system pulls air from the outside, heats it, and then moves it into your home, it may also be pulling a few unwanted guests into your personal space. Boxelder bugs are common pests that may try to inhabit your heating unit because of the warmth it creates and moves into the house. Once they make the outdoor unit their home, elder bugs can move into the ductwork, eventually flowing into the home through vents. 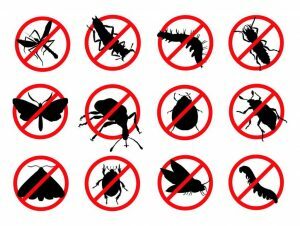 Seal Entry Points – Work with a pest control company to determine where pests are entering the home. Sealing the entry points, such as areas around window and door frames and cracks in the baseboards, will reduce the risk of elder bugs inside your home. Maintain Exterior – You should also maintain the exterior of your home to prevent pests. Consider covering vents on your roof using mesh screens. Also, use silicone to seal openings around electrical and utility outlets and connections. If you have been stocking firewood to prepare for the winter, you should also focus your pest prevention in this area. Firewood is appealing to many types of pests including termites and wasps. These pests not only eat away at your firewood, but they will also turn the wood into homes and nests. If your firewood becomes damp, it will not be useful anymore. Of course, the damp wood will also be even more appealing to pests, so you must keep the wood dry. Store the wood in a shelter to ensure it remains dry, useful, and pest free. A wood rack is beneficial for your firewood because it lifts it off the ground, reducing the risk of moisture and pests, as well. Winter is coming, and pests are ready to become holiday houseguests. To learn more about protecting your home from pests this winter, contact your pest control company in Frisco, TX, Safe Pro Pest, at (972) 435-0700.